FOR USE ON HOME LAWNS, LANDSCAPES, and PARKS. 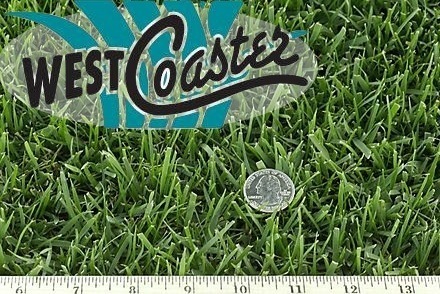 West Coast Turf’s exclusive West Coaster sod makes for the ultimate lawn! West Coaster has a beautiful dark green color, with lasting wear, drought, and heat tolerance, and excellent disease resistance. It can also tolerate partial shade, and is ideal for home lawns, landscapes, and parks. It performs well in coastal California, as well as cool inland valley and high desert environments. It's perfect for Arizona's cooler climates in the mountains and elsewhere. West Coaster Seed is available for easy repairs. Regular sod comes in 10 sq. ft. rolls. Seed comes in 10 & 25 lb. bags for easy repairs.